~ Submitted by Mary Lou Turner – 1986 There is a lot of History surrounding Lakeside’s beautiful lake and park situated in the middle of town. According to historians, the Indians — before the advent of white settlers — used it as a camping ground utilizing the water available in this natural lagoon. When the railroad came to Lakeside, families from throughout the country would proceed to Lakeside on the San Diego – Cuyamaca Eastern Railroad with all the joyous crowding and paraphernalia appropriate to a school or church picnic. Not much lake was apparent, and the decorations consisted mostly of sand and eucalyptus trees, but the picnics were always highly exciting. According to the old-timer, William S. Doty, “. . . the sack races, three-legged races, and potato races were both exhausting and dramatic, and the food, naturally, was superb.” There are accounts of the train being so over-crowded that the boys would justifiably sit on the steps of the open platforms of the little cars and feel that this was, indeed, life in the raw. Referred to as a “children’s paradise,” Lindo Lake Park is a source of enjoyment to those of all ages. Its present usage fulfils the needs of children and adults alike. For the children, it is an exciting experience to feed the duck population — and even the adults get into the act. It is a great place for family or group picnic with carefully laid out facilities including picnic tables, barbecue and water with each space. People love to ride horses on the trails. There are tennis courts, playgrounds for the young, and two shaded pads which will accommodate large parties. Boating is not allowed, but there is fishing. Yes, they catch some big ones there. 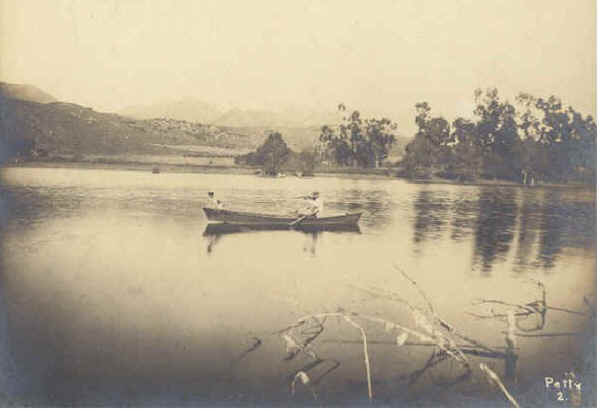 Claimed to be the only natural freshwater lake in San Diego County, it was originally fed by mountain streams. 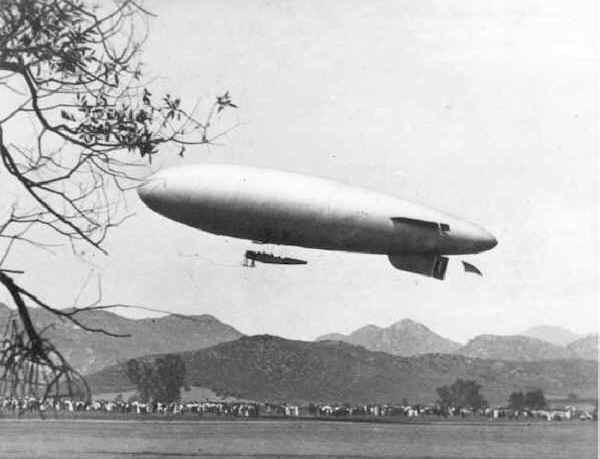 When sub dividing land in 1886 for the 3,000 acre Lakeside Town site, the El Cajon Valley Land Company dedicated 45 acres as a public park. The park was landscaped and a boathouse built. This natural lagoon became known as Lindo Lake. 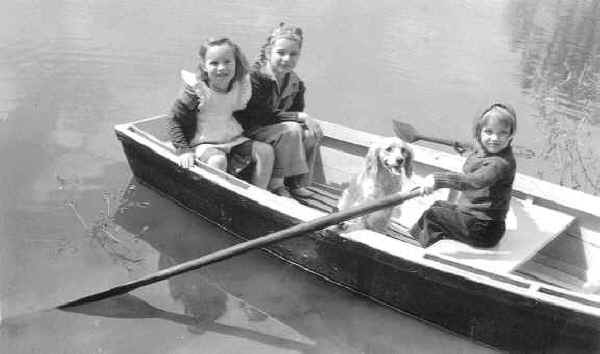 “Four in a Boat,” a first place photo by Elmer Walker in the Lakeside Camera Club’s second exhibit in 1939. 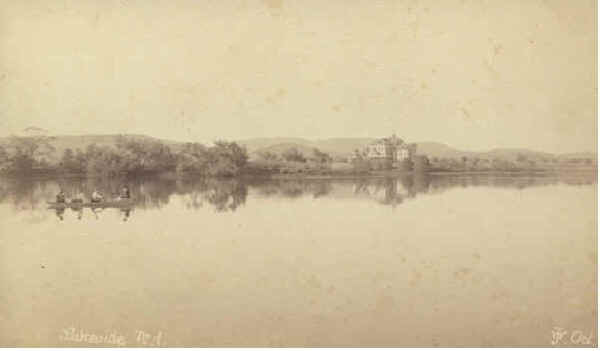 The Lakeside Inn was constructed in 1887 and purchased by John H. Gay in 1904. Gay fenced the park and lake, claiming both as part of his estate. 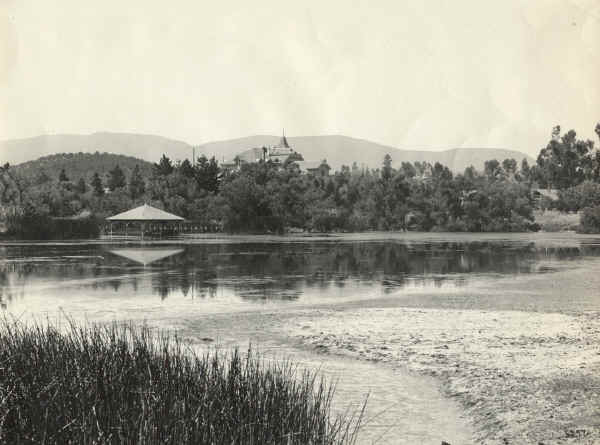 In 1916 a number of townspeople, led by John Beadle and Bill Kuhner, petitioned the county to regain use of the park and lake for the general public. A suit was filed, and after a lengthy court trial, Judge C. H. Andrews ruled that the park and the lake were public property. 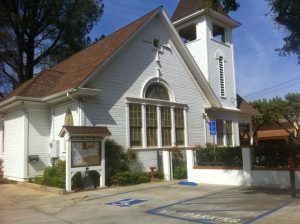 It was returned to the county and rededicated in 1920. Since 1924, the county has maintained the lake and its grounds. Gay’s widow sold the Inn to C. A. Judson in 1920 with the stipulation that it be demolished. In the same year, Judson demolished the Inn and donated nine and a half acres to Lindo Lake and Park making the total area 54 1/2 acres. Adding to the natural growth of the park, John Beadle planted many of the trees after the legal dispute. These trees consisted of peppers, Australian oaks, locusts, tamaracks, willows, eucalyptus, pines, and cottonwoods. Other varieties have since been added. John’s son, Wesley, although assisting his father previously, was officially made caretaker of the Park in 1932, containing a variety of 50 bushes. The lake shore was a riot of color. The garden and lake proved to be a very popular attraction. Droughts in the 1940’s found the lake bed almost dry. The building of Chet Harritt Dam across Quail Creek upstream blocking the principal water source, evaporation of the water, and lack of rainfall were all part of the problem. In 1950, plans were made to sink a number of test holes in and around the lake bed to try to find a good place to drill wells. R. E. Anderson Well Drilling of Lakeside was commissioned to drill the wells. Three wells were drilled near the lake. One of these is still functioning. A fourth well was built near Cactus Park, which adjoins El Capitan High School property. The story as told by Ralph Anderson is that a diviner of good reputation was called in to locate a site for the Cactus Park well. Against the advice of Mr. Anderson, the well was dug at the selected location. However, the amount of water per minute was insufficient to merit placing pipe lines from that point to Lindo Lake. In 1950, plans were made to sink a number of test holes in and around the lake bed to try to find a good place to drill wells. R. E. Anderson Well Drilling of Lakeside was commissioned to drill the wells. Three wells were drilled near the lake. One of these is still functioning. A fourth well was built near Cactus Park, which adjoins El Capitan High School property. The story as told by Ralph Anderson is that a diviner of good reputation was called in to locate a site for the Cactus Park well. Against the advice of Mr. Anderson, the well was dug at the selected location. However, the amount of water per minute was insufficient to merit placing pipe lines from that point to Lindo Lake At one time plastic sheeting was placed on the lake bottom. This did not solve the problem, as puncture holes in the plastic prevented the retention of water. Another time Bentonite clay was placed on the lake bottom. This also did not work. Attempts to stabilize the lake for the most part have been unsuccessful. Pumping water to the lake is presently aiding in maintaining a good water level. One note of interest not found in historical papers available to this writer. 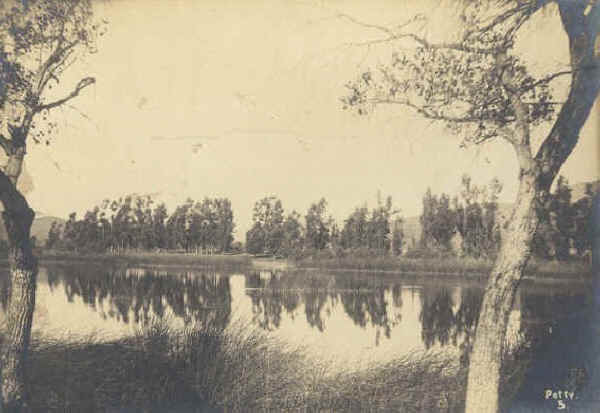 “It is claimed that Los Coches Creek once flowed naturally into Lindo Lake. With building of new construction in the area many years ago, this flow was changed. If this is true, what problems could have been eliminated in Lakeside’s history of flooding of Los Coches Creek and parts of the downtown business district, not to mention the many homes built on the creek.” Many additions have been made to the park over the years. Tennis and shuffleboard courts, and the children’s’ playgrounds were built in 1937. Two double restrooms were added in 1940. Barbecue facilities, picnic tables, and water spouts have been added over the years. The San Diego County Lakeside Library was built there in 1962. A new parking lot was constructed on Lakeshore Ave. in 1980. This lot is approximately where the old grandstand for the racetrack once stood. While the parking lot was being constructed, more than 100 new trees were planted over a ten-acre site. History of the park would not be complete without the courageous fight led by Flossie Beadle and others to “save the boathouse.” The County Board of Supervisors proposed moving the boathouse from the center of the lake to shore so the county could seal the bottom with soil cement and refill it with water, as the lake had not been filled with runoff since 1940. Flossie admitted her first failure when the boathouse was removed to dry land prior to September 1966. It became known as Lakeshore Summerhouse. 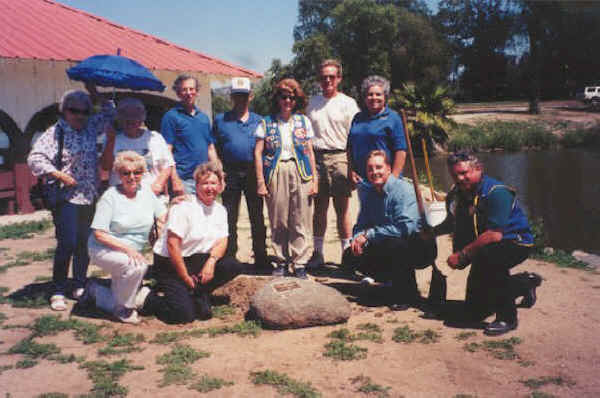 Perhaps inspired with Flossie’s attempt to keep the boathouse in the center of the lake, the Lakeside Historical Society with monies given this group by the 1976 Bicentennial, plus volunteer help, moved the boathouse back into the center of the lake in 1977. 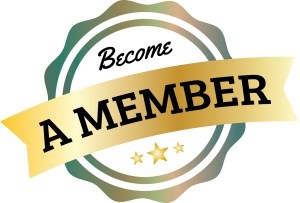 Volunteers included Reid Enniss who moved the boathouse with his company’s equipment; Marvin Buckel and Jerry Lester, who did the bulldozing of the island and roadway; A. L. Meyer, Cliff Walker, Mr. Campbell, Mr. McElory, Ed Duling, and Lester, who built the foundation. 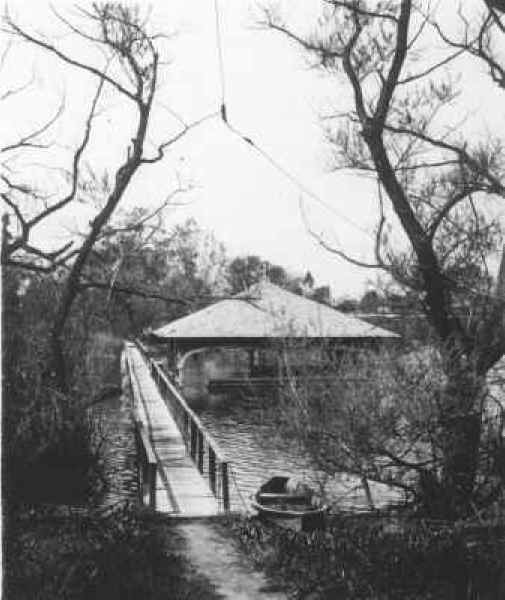 A walkway was constructed from the shore to the boathouse. In January 1983, a $3.2 million face-lift Master Plan was started and to be completed over the next 10 years. The County has improved Lindo Lake’s water quality by improving the lake’s circulation; constructed a community center on the corner of Vine and Lakeshore; deepened the east basin and created new land in this area; added irrigation to the picnic and multi-purpose play fields; also they created equestrian, pedestrian, and hiking trails throughout the park. 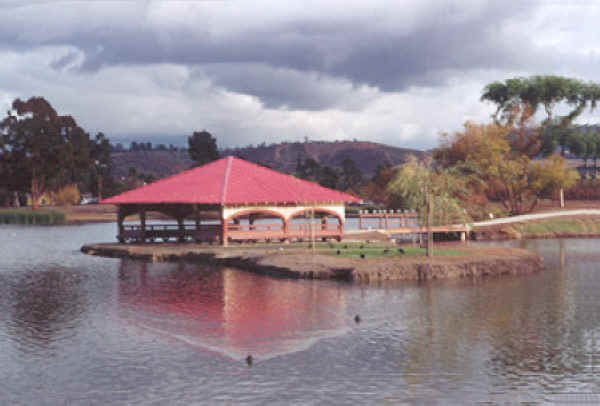 Lindo Lake Park is a unique treasure in the heart of the community of Lakeside, and its colorful history will be maintained.